Window, window, on the wall . . .
October 24, 2006 | You were late waking up and it isn't your best hair day. As you walk by the Taggart Student Center, you resist the urge to look at yourself in the window. Just one look and you can fix that flyaway. But if you look, you know someone will be on the other side -- either laughing at you or singing the words to You're So Vain. As you near the end of the building, you can't help but turn your head and before you know it, you're checking yourself out. I think it's safe to say that just about every person on campus has shot a glance or two in the windows of the Taggart Student Center or the Eccles Conference Center. 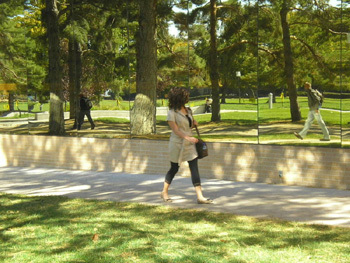 Both buildings have windows that serve as excellent mirrors for students on the move. The TSC is a far more popular check-out zone than the ECC, due to the large concentration of students of students there. 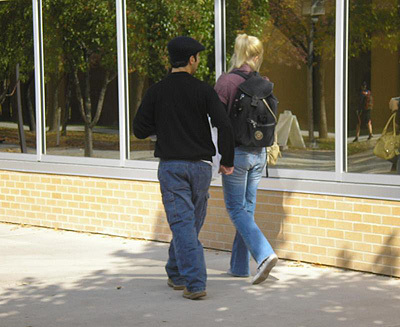 In a survey of over 100 students, 88 percent say they have looked at themselves at least once in the TSC windows. Many students can catch the bus for school, jump off a few minutes later, and catch one more glance of themselves before heading to class. 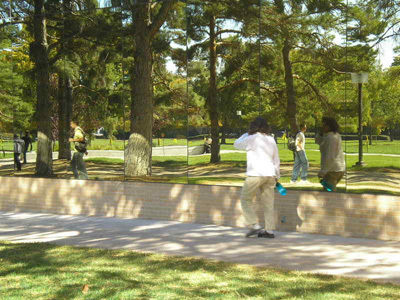 The Eccles Conference Center, just west of the Merrill Cazier Library, serves as a great full body mirror and has even acquired the nickname of the "Vanity Building." The diagonal sidewalks are ideal for sneaking a quick glance without looking too obvious. Eighty-one percent of students say they have looked in these windows at least once. However, being spotted checking yourself out in the ECC windows can occur more easily than you may think. 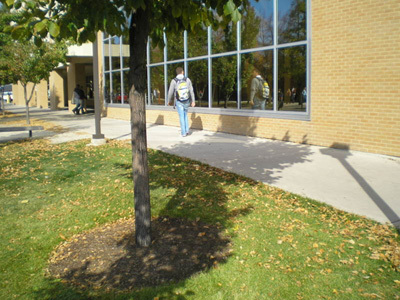 "On rare occasions I will look in the windows of the ECC," Megan Decker, a senior, said. "I heard that people sit inside that building and watch people check themselves out." It's true that you are more likely to get caught at the ECC. Don't be surprised if someone is sitting inside the lobby watching you. Carrie Milligan, who worked as the credit and adult learning programs coordinator for the ECC, had many experiences "people watching" from the inside. "We would take our lunches in the lobby and just watch people," says Milligan. "Then, we would take turns guessing which students would look in the window." So maybe students aren't being as clandestine as they think. Even though 65 percent of students surveyed say they try to be secretive when glancing in the windows, 62 percent say that they have caught people checking themselves out. Garrett Rees, a senior, does more than just laugh at people who check themselves out in the windows. "I'm usually the one that pounds on the window to make sure they know that I've seen them. I love that," Rees said. "In fact, when I'm supposed to be studying, I usually go sit in the Eccles and see how many people I can anger in a five minute period." 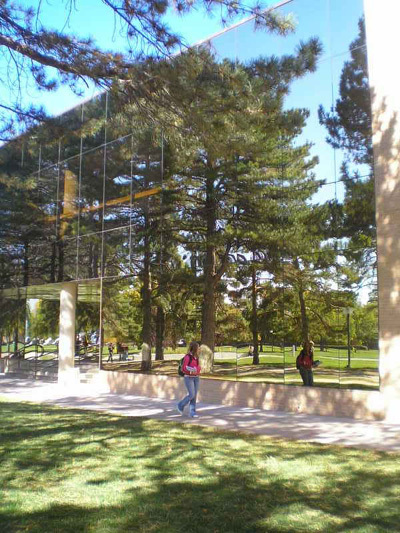 Even students who are not yet attending USU may learn the significance of these windows. USU Ambassadors, who are responsible for recruiting prospective students, sometimes tend to point out these windows on their campus tours. "I always point out the "Vanity Building" because everyone thinks it's so funny," said Ambassador Kelsey Burns. "Especially when I tell them people sit inside and watch them." Former youth programs administrator, Tad Sorenson, has learned his lesson and won't be glancing in windows anytime soon. "Ever since I worked for the ECC I refuse to look in the windows,"he said . "When ever I walk past, I just look dead straight." So, what about you? Will you be checking yourself out today?